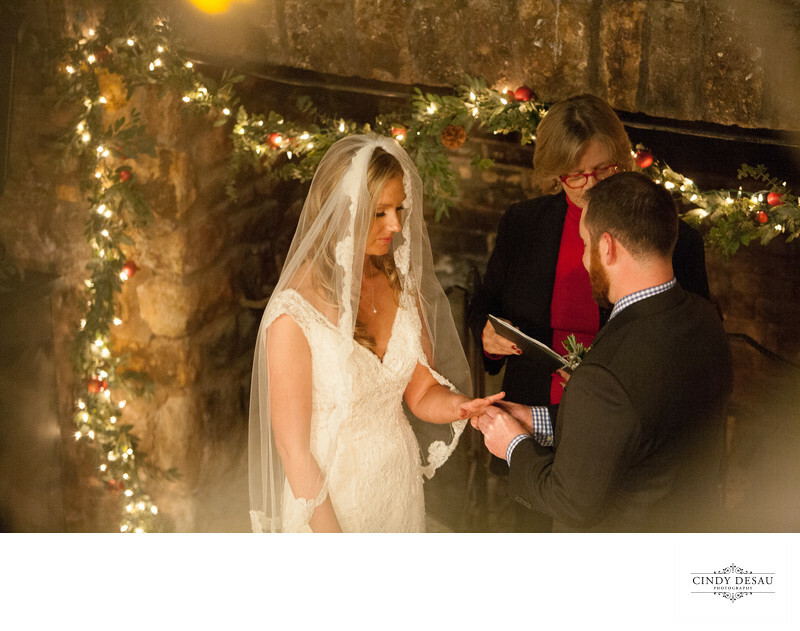 This is a natural light photograph from a Christmas wedding at Holly Hedge Estate in New Hope, Pa. I shot this from the balcony of their stunning historic old barn, which was decorated with holiday lights. You can see where I used some of those lights in this photo by carefully shooting through them to create the wonderful soft edge glow along the side of the frame. I think it adds to the warm ambience of this image as the groom places the wedding ring on the bride’s finger.